Brian Boucher lost his brave battle with cancer on December 28, 2018 at the age of 70. We have so many stories of Brian's college days, we don't even know where to begin. From his days on Sunnyside Terrace to "603", he was always there with a story or anecdote to make us laugh. Brian touched and amazed many with his sharp, funny wit, always ready to tell a joke even to his doctors and nurses while battling cancer for 10 months. Brian is survived by his devoted wife, Patricia; and his loving sons, Brian P. and his wife Kim, Matthew, and Conor; as well as his cherished grandchildren, Tiernan, Reagan, Rory and Liam. We are sad to report that Matt Piermatti passed away on March 25, 2017. Matt, age 66, died at home after suffering from diabetes and related complications for a number of years. 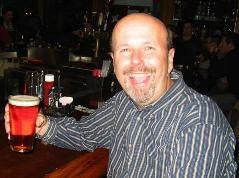 Matt was an attorney and adjunct professor of law at William Paterson College. He was also involved with many organizations and activities as varied as Manhattan's prestigious Amateur Comedy Club, Rolls Royce Owner's Club, and the Titanic Historical Society. His many other associations are recounted in Matt's obituary. Congrats to Bob Marino and Ray Higgins -- Bob's son, Rob Jr, and Ray's daughter, Kelly were married earlier this year. Our best wishes to the new couple. 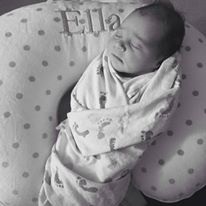 And, of course, to their dads, who are proud new grandparents of Ella Grace, 7 lbs 6 oz. Considering her dual heritage, she's bound to be an awesome thumper player. We are sad to report that Thom Hornish passed away on August 29, 2015 after a year-long battle with cancer. 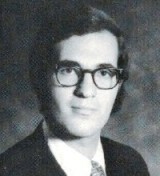 After graduating from SHU in 1971, Thom achieved a Master's degree in social studies education from Rutgers. He had a 41-year career of teaching social studies and coaching at Westfield High School, where he served as the head girls cross-country coach. He is survied by his wife, Donna, of 39 years, as well as his parents, Mary Ann and Donald Sr, sister, Susan, and brothers, Peter and Kevin. After losing touch for many years, Thom discovered our website in 2013, unfortunately shortly after our last reunion. He extended his regards to all in our Guestbook. For the third time within a month, we are saddened and stunned to report the loss of another of our brothers. 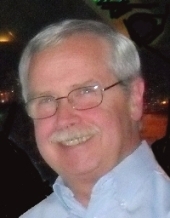 Fred Hagen died suddenly on April 15, 2015, succumbing to a heart attack on the train on his way to work in Manhattan. He served for several years as Chief Benefits Officer at 1199 National Benefit Fund in NYC. Fred is survived by his wife, Holly, and his beloved daughter, Lisa. There are too many stories about the fun times we shared with Fred. So we'll just provide this photo to capture the spirit of them all. Fred, dear brother, rest in peace. We are sad to report that Len Patruno, 68, lost his battle with cancer on April 14, 2015. After SHU, Len worked as an investigator with the Essex County Department of Civil Service where he served in two stints for 25 years. In the interim period, Len was with Lancome in Clark. He is survived by his wife, Corine, of 20 years, his children, Jeremy and Maddie, and his parents, Jerry and Philomena Patruno. We are deeply saddened to learn that Mike Krivak died on March 11, 2015 at age 63. Mike, recently of Bloomfield, grew up in Irvington before attending The Hall. After graduation fro SHU, Mike was the owner and operator of Pilot Air Freight. He will always be remembered for his incredibe sense of humor and the comocal stunts he pulled throughout the years. He is survived by his son Michael and grandchildren Nicholas and Chloe. May God bless him and may he rest in peace. A reunion get together was held on Friday, March 22, 2013 at the Blackthorn’s Pub in Kenilworth, NJ. The turnout was our best since our 1980 reunion -- back when we were still young and foolish. (We're no longer young.) 27 brothers attended the festivities, with some new faces we haven't seen at recent reunions -- Joe Cybulski, Bob Harkins, and Dennis Pedra made it to their first reunion in years. Our thanks to Dave P for organizing this event. And Dave finally figured out how to get the photos off the camera (he had his son do it), so check out the details and photos at the Reunion 2013 page. Congratulations to Lou on his retirement. On December 31 2012, Lou has decided to pack it in and devote all his time to his golf game. Jim and Nancy Buckley have retired and moved from their beloved New Jersey to the warmer climes of North Carolina in September 2012. Our best wishes to the Buckley's. A few of the Zeta Chi Rho sisters got together in July to bid farewell to Nancy. As we had such close bonds with the sisters of Zeta back in our SHU days, we are delighted to capture the moment for the Tau Delt site. Visit the Zeta Reunion link for a look at their recent get-together. Congratulations to Greg "Otto" Renner on his retirement. Greg has decided to call it quits. On March 30, 2012, he retires after 83 years at Xerox. Congratulations to Jim and Nancy Buckley on their recent marriage. No, this is not an old article. It's their second time. Best of luck to the bride and groom. Jim's name has been added to the Address List. The Sunshine Boys Meet Again! Another get-together by our resident brothers of the Sunshine State. George and Lou enjoy the summer of 2011 and send regards from Florida. After almost 40 years, brothers Lou and Bruce got together in May for a mini-reunion of their own in Florida. And we managed to get a shot of this historic occasion. A couple of days after hearing from Bob Reilly, another brother who many of us have not seen for quite some time, happened to be given Roger's business card. He, in turn, sent an e-mail to Roger who forwarded it on to us. This time we got a photo, so rather than tell you outright who it was, it's once again time to play "Name That Brother". In April 2009, Bob Reilly happened to land on our website while surfing the net. After many successful years in the healthcare industry, he now heads his own firm, Reilly & Associates. He sends his regards from the left coast. Check his message in our guest book . Bob's name has been added to the address list. In February 2009, we received a new photo from afar. Quite a few years have passed since many of us have seen the brothers in this photo. So it's time to play "Name That Brother". Can you identify these brothers? John Gubernat stumbled upon our website and left a message in our guest book. After 25 years in the insurance industry, he's changed careers and is now managing a small executive golf course. He sends his regards to all. John's name has been added to the address list. Welcome John. Glad you found us. Within a few days of hearing from Modesto, one of newest (relatively speaking) brothers, we move to the other end of the spectrum to hear from one of our oldest founding brothers, Jim Richter. Jim sends his regards to all from Alabama. Jim has been added to our address list. In October 2008, we heard from brother Modesto Fiume who discovered our website. He gave us two additional names for our chapter roll -- Mark Ellerson and Bob Wortman. Modesto tells us that our last pledge class at SHU was Fall 1976. (We aren't sure, but think that might be the Upsilon class?) So our chapter may have lasted a bit longer than we previously thought. And we were obviously not correct about having the complete list of brothers on our chapter roll webpage. Perhaps there are still more to come. Modesto and Mark have been added to our address list. My name is Jose Noceda...I'm a Tau Delt initiated at Polytech (Farmingdale) 1988-1990. I later joined the brothers at SUNY Stony Brook 1990-1993; since 1993 I've lived and worked in Europe and have unfortunately not kept in touch with the majority of brothers. I have now taken the initiative to create a Professional Networking group open only Tau Delts. The underlying intent is two fold: first to keep all brothers in contact and second to identify each brother's professional career and help each other with professional opportunities that may arise. To initiate this process I have created LinkedIn Networking Group with an e-mail distribution list on Yahoo Groups. I’m contacting you to welcome you and all other Tau Delts in your group to joins us. Found us! Lou Traina stumbled across this website by accident. He happened to google his own name and Google found this site because of his name under the 1971 photo. Amazing! He sends his regards from Florida to all. Lou's been added to the Address List. We had been trying to locate as many brothers as we could find for the November 2004 reunion. But, who knows -- they could locate us like Lou did. With everyone's name on the Roll page, it's possible that any brother may find us in much the same manner. We also tried googling Tau Delta Phi and we're on the first page of 155,000 results. We may be found this way too. The Address List link above is password-protected so that spammers can't get to it. If you forgot the password or never got it, send an email to the address at the bottom. If you changed your e-mail address or would prefer that it be removed from the list, do the same. 27 Brothers attending the November 2013 reunion -- a modern-day record. 0 Those who didn't have a great time. Send any news, photos, or other content for this website to info@tdpshu.org.